Conner spent 3 years working with customers in a tech support role, and had responsibility for maintaining the company’s IT infrastructure. 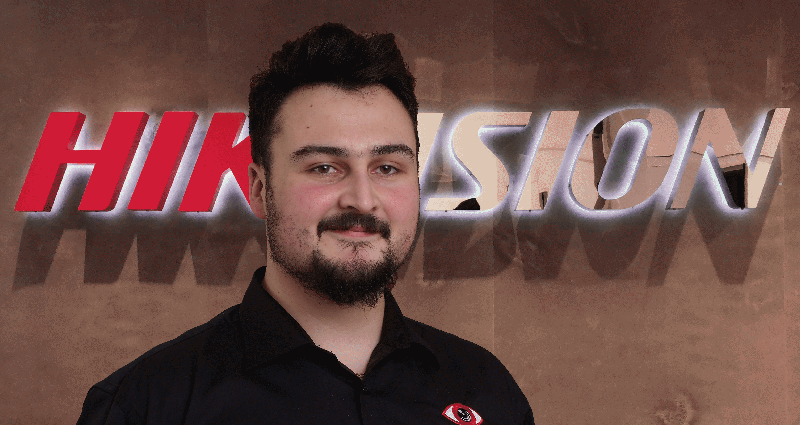 Conner brings a wealth of technical experience to the sales team and will initially be focussed on promoting and supporting the company’s CCTV offerings, particularly in light of the company’s Hikvision product launch on the 22nd October. Conner will advise installers on optimal CCTV solutions as well as the potential benefits of using the webeyeCMS cloud platform for CCTV monitoring. WebeyeCMS enables CCTV generated alarms to be monitored either remotely by one or more guards and/or in a control room environment via a web browser. The platform also provides a reporting dashboard for system maintenance and full alarm history with auditing capability.